Headquartered at Edmonton, Alberta, Charge-On International, from the commencement of the business, has upheld the values of hard work and honesty. Our professional dryer vent cleaning service is dedicated for repair, installation, and rerouting of dryer vents for residential and commercial locations. 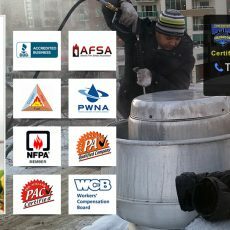 We as the best commercial hood and vent cleaning in Alberta, perform a complete inspection of your dryer vent system to recognize any problems that may subsist, and complete the work at the same juncture. We are the best janitorial service company in Edmonton Alberta. One of the Best Commercial Cleaning Company in Edmonton. We provide best and lowest prices for Janitorial Services. We Provide free estimates for Janitorial cleaning. Our Janitorial and side walks cleaning is best in Edmonton. We provide commercial office and floor cleaning in Edmonton Alberta.